This year CITIZEN is celebrating 30 years of their Promaster sports watch family with the release of a new Aqualand. The new Aqualand will be officially unveiled at Baselworld next month, so until then I just have these few details. Its case is in Stainless steel, measuring 47mm in diameter. 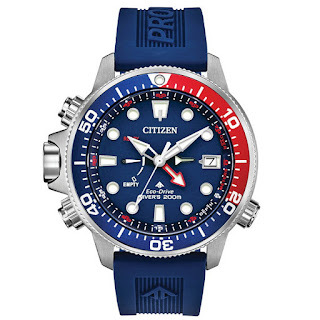 It is fitted with a mineral crystal and is water-resistant to 200 meters. 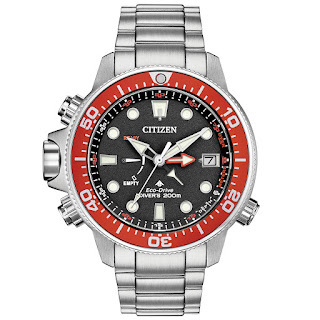 Diver’s features include a Helium Escape Valve and depth-meter. 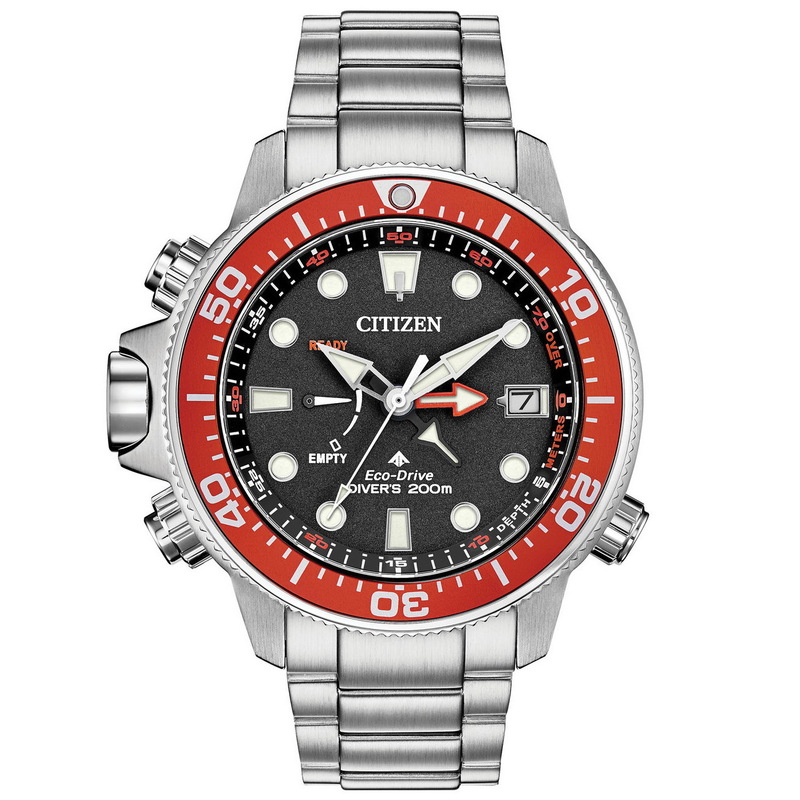 Power comes from Citizen’s in-house, solar quartz Eco-Drive caliber with a maximum depth memory, a rapid ascent alarm, an auto-start dive mode, and a power-reserve indicator. There are two variants: BN2038-01L with its blue dial and Pepsi bezel and BN2039 with its texturized matte black with a red bezel. MSRP should be just shy of 700USD. Stay tuned for more info. How old were you 1989?